Collagen is an essential part of a healthy, active body. As a key structural protein, it provides the building blocks you need to stay strong while you’re busy living life to the fullest. So while “active” may look different for everyone, we all need the same support. 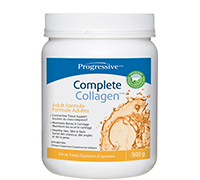 Use Complete Collagen™ to mend and repair so you can run, bend, lift and stretch with ease. Just scoop, stir, drink and GO! 10g of non-GMO collagen per scoop. 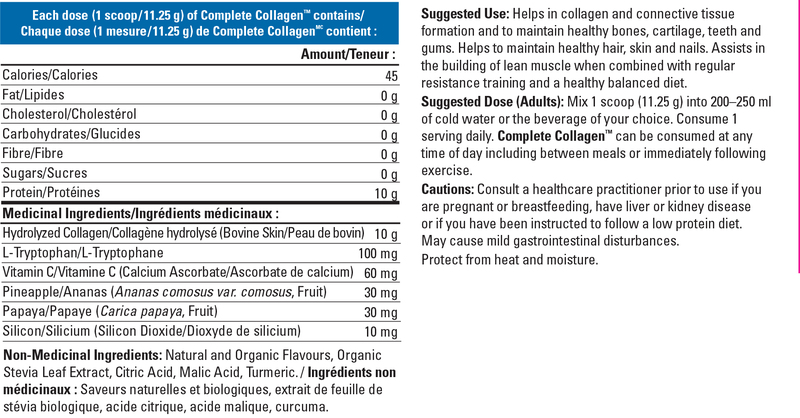 Current research shows that this daily dose of collagen is an ideal amount to help mend an active body. Sourced from pasture-raised, grass fed cattle. This means you can be sure your collagen is free from both antibiotics and added hormones. Added Vitamin C so you can make the collagen you need. Your body can’t use a collagen supplement without Vitamin C, so we’ve added 100% of the RDA to ensure you get the full benefit. Added Tryptophan to complete the aminos. Collagen does NOT contain all the essential amino acids, unless you add tryptophan. Tryptophan is the missing link that completes collagen’s amino acid profile, helping to improve its protein quality. Enzymatically hydrolyzed for easy mixing and better absorption. Hydrolyzed means Complete Collagen™ is easily absorbed by your body and mixes instantly in any liquid. We use an enzymatic process, which is much cleaner than alternatives that leave behind chemical residue.